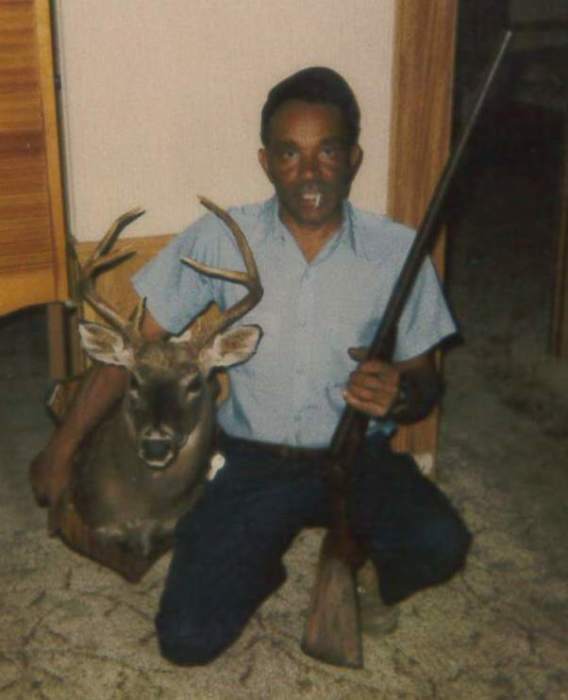 Mr. Harry Locklear of Pembroke, age 77, departed this life on April 13, 2019 at his home surrounded by his family. He was born on June 6, 1941 to the late James Ashford Locklear and the late Ester Lene Locklear in Robeson County, North Carolina. Along with his parents he was preceded in death by two sisters Carol Jean Young and Patty Brayboy. He leaves to cherish his memories his loving spouse of 45 years Linda Oxendine of the home five sons Kelvin Levon Oxendine and wife Latisha of Shannon, North Carolina, Cheyenne Lashawn Locklear and wife Kristen, Bryan Keith Oxendine, Kenneth Levon Locklear, and Darell Wayne Locklear all of Pembroke, North Carolina, one daughter Kristen Nicole Locklear and husband John of Lumberton, North Carolina,stepmother Mrs. Juanita Locklear, one sister Myrtle Strickland and husband James of Pembroke, North Carolina, fifteen grandchildren and a host of other relatives and friends, a special thanks to a daughter in law and caretaker Heather Leann Locklear caretaker, Brandi Kelley, Kenston Levon Oxendine,and Myrtle and James Locklear, and a host of other relatives and friends.